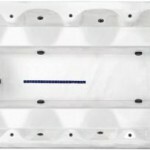 Owning a Vita Spa Swim Spa is like having a swimming pool and hot tub combined. With a powerful but adjustable stream of water to swim against and blissful hydrotherapy areas, you can enjoy the best of both worlds with your new Swim Spa. 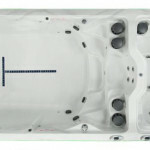 Our Xstream swim spas truly are a cut above the rest. 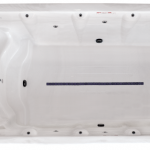 Our swim spas are constructed with a steel frame that’s 250% stronger than wood yet 40% lighter, MP3 music and subwoofer as standard, and Vita Spa’s unique, money-saving appliance-grade insulation. 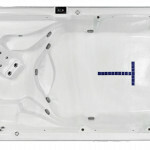 Don’t even consider buying a swim spa in Kent without checking out our range first. 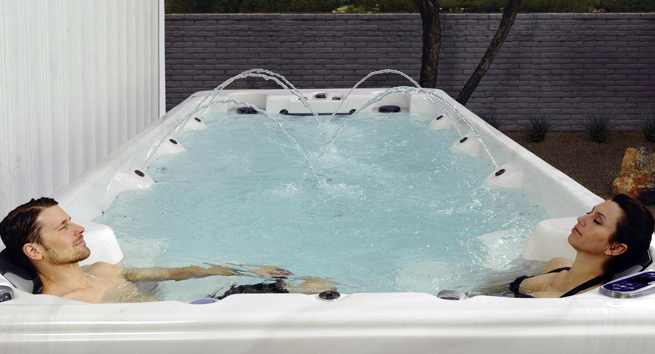 Each Swim Spa in the outstanding Vita Spa Xstream Swim Spas has been developed with usability in mind, combining the best aspects of pools, hot tubs, and home gyms. 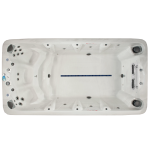 From smaller 12ft party swim spas to huge 16ft swim spas with optional packages, there’s sure to be a swim spa that suits your needs. 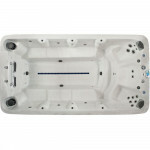 We can deliver your new swim spa anywhere in Kent, we can even supply the base and electrical upgrades if needed. All you need to do is decide whether you want to invite your friends and family round to try it out or enjoy a solitary soak. 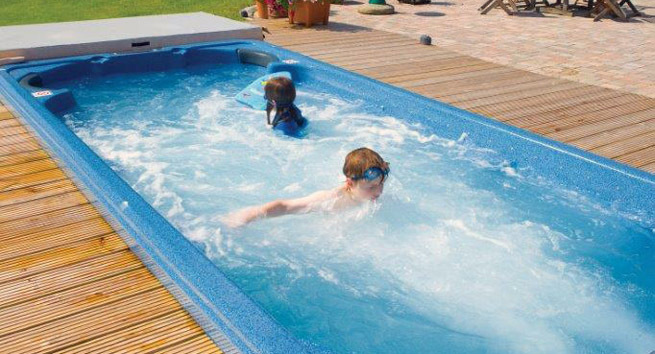 Holiday at home with Oasis Swimming Pools in Kent.